The State of Missouri Department of Social Services (DSS) administers a child support program which provides a number of services related to child support issues. The Department of Social Services can help locate a missing parent, assist in establishing paternity, follow through on having a child support order enforced, or help a newly divorced or separated parent establish a child support order. In addition DSS can assist in having a child support order modified and providing online resources for parents to make payments or monitor their child support case. 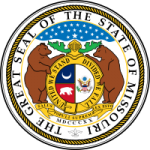 The Missouri Child Support Laws set forth a framework for handling child support issues that arise in Missouri. The laws provide guidance and authority to the Department of Social Services Child Support division to make, modify and enforce child support orders. Some of the enforcement tools include wage withholding, liens and tax refund intercept.